“Utopians” may not be an accurate description for this page. 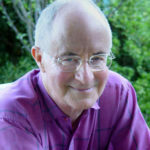 Theobald called his book, “an anticipation of the near future.” The implication was that this was the best scenario possible of the factors that Theobald saw on the event horizon from the ’70’s to the ’90’s. A utopia, on the other hand is the most perfect state imaginable and is independent of contemporary events and frozen in time. All real societies, however, have to change in order to endure. However, I believe that current day social entrepreneurs are inspired by the world changing views of “utopians” like Theobald and Callenbach. Robert Theobald was a professional “futurist”, author of the “guaranteed annual income theory” and a signer of the “The Triple Revolution” memo, which was an open memorandum sent to US President Lyndon B. Johnson and other government figures on March 22, 1964. It was signed by an array of social activists, professors, and technologists who identified themselves as the Ad Hoc Committee on the Triple Revolution. The statement identified three revolutions underway in the world: the cybernation revolution of increasing automation; the weaponry revolution of mutually assured destruction; and the human rights revolution. It discussed primarily the cybernation revolution. The committee claimed that machines would continue to reduce the number of manual laborers needed, while increasing the skill needed to work, thereby producing greater unemployment. It proposed that the government should ease this transformation through large-scale public works, low-cost housing, public transit, electrical power development, income redistribution, union representation for the unemployed, and government restraint on technology deployment. Theobald was the author of many books, including TEGS 1994. This book’s central character Teg (short for Integra) is a young adult living in 1994. She has completed her early education and won a scholarship (an “Orwell Fellowship”), to spend a year traveling around the world and doing research in the subjects of her choice. The book chronicles this year of travel and her interviews with the people she meets. Along the way, her world is explained, as well as a look at the history from the 1960’s to the 1990’s that caused her world to come about. Each community has a myth of existence. This myth is not really a myth in the usual sense of the word, it’s more like a “mission statement”. The community takes its sense of fellowship and individuals their sense of belonging from this myth. There are thousands of communities, so everyone has a chance to find the one place where they fit in. Individuals work for the betterment of their community and everyone shares its bounty equally. Within some North American communities, people live in “multi-hogans”, which are octagonal structures designed to support both personal and private space. Technology has lead to great advances, primarily in communications. Each Orwell Fellowship recipient gets what amounts to a cell phone and each one has access to a “communicator”, which is a computer terminal that allows them to send text messages to others. Orwell Fellowship recipients are expected to be “on call” 24×7. As Teg travels, she learns the events that led up to her world from the 1960’s: people of the early 1970’s rejected consumerism and materialism. The “Planning Party”, dedicated to better planning and less bureaucracy in government wins the presidency in 1972 and the Republican and Democratic parties disintegrate. The scientists of the world gather in 1979 (an event called the “Scientists’ Synergy”) and issued a statement demanding that public and private bureaucracies around the world stop withholding and distorting public information. From these events, better ways of living and interacting were developed and adopted all over the first world. Underdeveloped areas were subsidized with the excess production of the developed areas and much greater harmony between and have and have nots resulted. Along the way, government was transformed and leaders began to serve their communities rather than rule them. Things aren’t perfect, there are still unsolved problems, but the world has at least steered itself away from the disastrous trends of the 1960’s. In Ecotopia Ernest Callenbach describes a society based on the principle that there is a real limit to the carrying capacity of Planet Earth. Callenbach envisions a society dedicated to the ecological and political goal of creating “stable-state life systems” in which humans live sustainably within the constraints and renewable resources of their environments (almost everything is recycled – ed. note). This society, the nation of Ecotopia, is born in 1980 when the citizens of Washington, Oregon, and northern California secede from the union. Cutting off all communications with their former nation, the Ecotopians embark on an experiment in sustainable living. By the time of Ecotopia, the novel, twenty years of silence, punctuated by occasional wild rumor, are all that the remaining United States know of the left coast. The protagonist, Weston, a reporter from a major East Coast newspaper, journeys to Ecotopia on a six week assignment to “explore Ecotopian life from top to bottom.” Weston’s columns and personal journal entries are the device through which Callenbach displays his ecological utopia. What does Weston find strange about Ecotopia? The food (organically grown, sugar free, unprocessed, unpackaged), the shelter (large, communal houses that evolve in keeping with the families using them), the clothing (natural fabrics cut for maximum comfort and minimal upkeep), and everything in between.. The Ecotopians have eliminated automobiles, and land which formerly served cars as pavement now is in service to people. The streets of San Francisco are quiet, greenbelt pedestrian malls with bike lanes and minimal paved passage for public transit and delivery vehicles. Most strange are the Ecotopians themselves, transformed by twenty years of eco-living. They have eliminated the conspicuous consumption lifestyle, by choice owning little; a few pieces of clothing, a musical instrument, gifts made by family and friends. Consuming less, they are able to work less to support their needs. Cooperative work groups set a relaxed pace for an average of twenty hours per week. Responsibility is decentralized and personalized. Each worker signs his or her product so that comments and also any complaints can be directed appropriately. Life in Ecotopia is reminiscent of a highly evolved small town — everybody knows everyone else, and their business, but instead of gossiping they have spontaneous group interventions whenever a situation develops that wants resolving. Callenbach evocatively describes what life could be like if the Green veneer of ecology-as-marketing-technique became an actual guiding credo for society. Note: The impressive, environmentally benign energy, home building, and transportation technology Callenbach described in Ecotopia was based on research findings published in such journals as Scientific American. The author’s story was woven using the fiber of technologies, lifestyles, folkways, and attitudes that were being reflected (from real-life experience) in the pages of, say, the Whole Earth Catalog and its successor CoEvolution Quarterly, as well as being depicted in newspaper stories, novels and films. Callenbach’s main ideas for Ecotopian values and practices were based on actual experimentation taking place in the American West. As an example, Callenbach’s fictional Crick School was based upon Pinel School, an alternative school outside Martinez, CA once attended by his son.